There is nothing like a good oatmeal cookie. 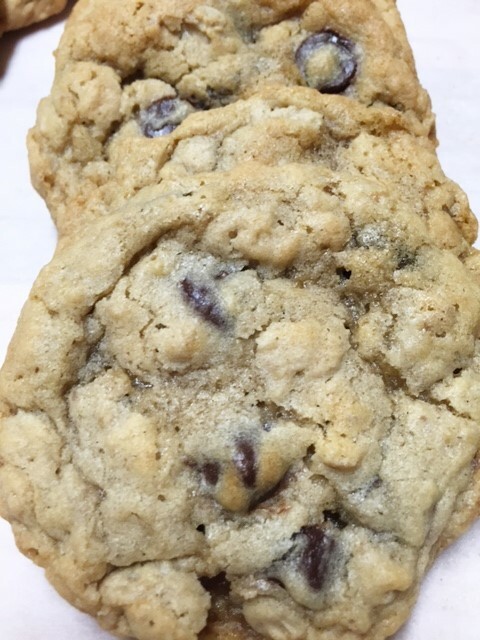 But then, there is nothing like a good chocolate chip cookie. I love both. 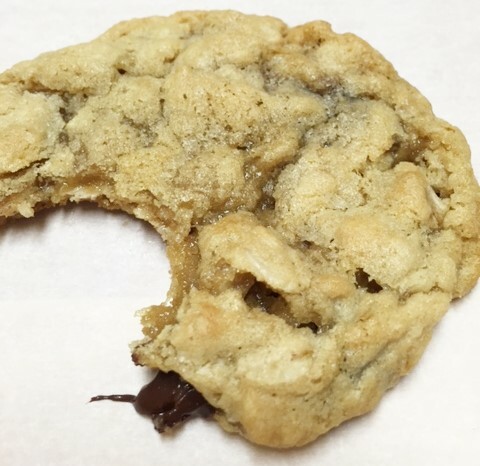 So you can imagine how much I love this cookie that has both chocolate chips and oatmeal. Chewy, buttery, crispy, rich, sweet but not too sweet. I have another recipe that I love so much. I have used it for years. But then I came across this recipe and just had to give it a try. 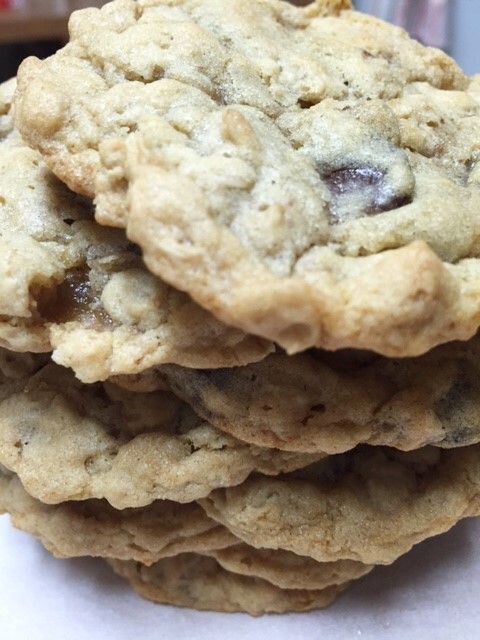 It has a lot of chew…not your typical oatmeal cookie. You just gotta try these. 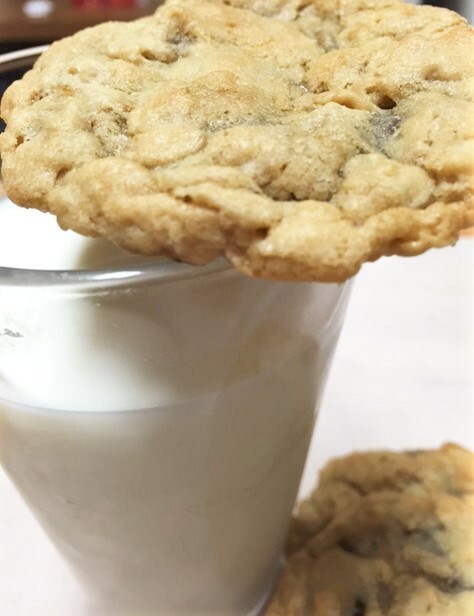 Grab yourself a big glass of milk and 1 or 4 cookies and you will surely be happy. 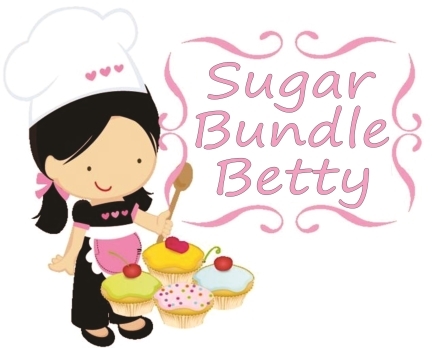 In a large mixing bowl, mix the butter and sugars together until fluffy, about 3 minutes. Add the egg and vanilla. In another bowl, mix the flour, salt, soda and powder together. 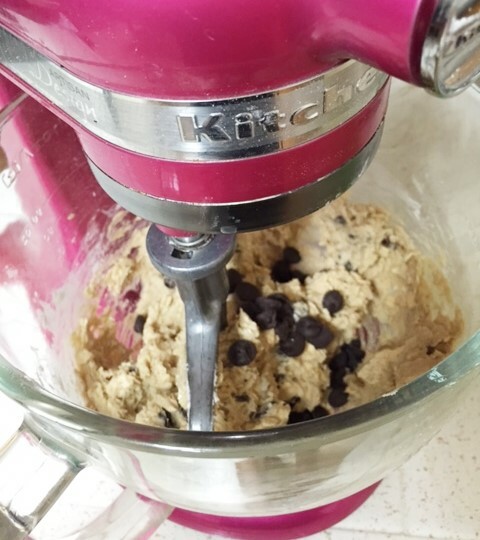 With the mixer on low, add the dry to the wet ingredients. With a wooden spoon, mix in the chocolate and oatmeal. Scoop dough the size of golf balls and place on a plate or small baking sheet. Chill for about 40 minutes. Preheat oven to 350. Place the dough balls onto your lined baking sheet, about 2″ apart. ** Slightly flatten…just slightly. Bake for 11 – 12 minutes….or until they are just turning light brown. They will look a bit undercooked. It’s ok! Allow to rest for about 10 minutes. Makes about 18 good sized cookies. ** My cookie baking tip. I take the formed ball of dough, tear the top half off and place it on top of the bottom half, rough torn side up. Slightly press down. This gives you a slightly thicker cookie when baked.